We at Autostop provide a detailed engine diagnostics warrington. You may need an engine diagnostics check if you see warning lights illuminated on your dashboard. This procedure is to check and identify potential problems with your vehicle. If you are looking for Engine Diagnostics in Warrington, Autostop Service Centre can help you diagnose your auto electrical fault. Our team will ensure that the issue is fixed with minimum fuss. If you have any enquiries please do not hesitate to contact us today! The tests we carry out at our engine diagnostics Warrington service centre can identify many issues. We take the time to explain what these issues are and how they may effect your car. All modern cars contain on-board computers that monitor or control things like emissions levels, engine temperature and even windscreen wipers. 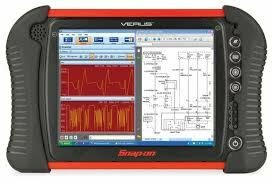 When things go wrong, these computers produce error codes which can only be read with vehicle diagnostics equipment. You may see a warning light on your dashboard, but these only give a small part of the full picture. Our engine diagnostic check picks up these errors and identifies what they mean, so component failures can be prevented before they lead to further damage or expensive repairs! Where can I get engine diagnostic tests on my car? Autostop can carry out diagnostic testing for almost all makes and model of car, and the service is available at our engine diagnostics Warrington service centre. You don’t have to go to a dealership to find faults. The cost of our engine diagnostics test is fixed – the price you see is the price you pay. If we discover problems with your engine or other components, we’ll provide you with a free, no-obligation repair quote upfront.